Wazzam Web Solutions India Pvt. Ltd is a web design and development agency which provides outstanding online solutions to augment your business. We use cutting edge technologies and innovate state-of-art branding strategies to establish your niche in the online market. Wazzam has a full-fledged team determined to help our clients to achieve their goals through Social Media Marketing, Search Engine Optimization (SEO), Google AdWords, and Complete Online Branding Serivces. Wazzam started its operation in 2005 in Sydney, Australia, and now it has offices and business operations in many countries including India, Canada, and Qatar. 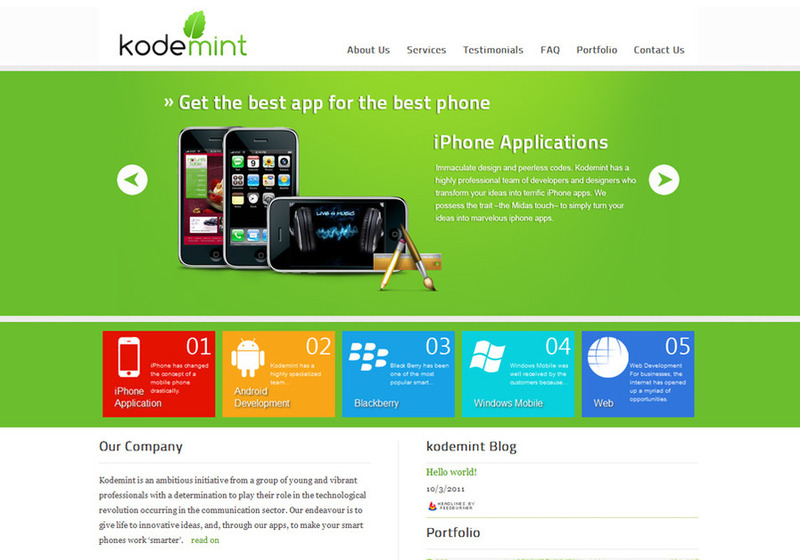 This is a screenshot of the website we designed for Kodemint, an app developing firm.